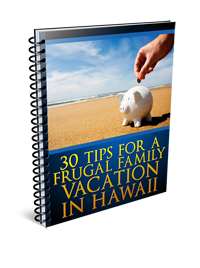 Are you dreaming of a vacation in Hawaii but have lingering questions you’ve been too afraid or embarrassed to ask? Some people allow their fears to get in the way of traveling, only to end up regretting that they never discovered what a truly wonderful, enlightening experience it can be. Whether you have questions that are causing a little anxiety about an upcoming trip to a Hawaiian paradise or concerns that are totally preventing you from booking a flight to The Aloha State, here are the answers that will allow you to have what may be the adventure of a lifetime! 1. I’m afraid of offending the locals. What do I need to know to be a polite and welcomed tourist in Hawaii? Many people don’t bother to find out about native Hawaiian culture and common rules of etiquette. Just the fact that you’re concerned about being a good tourist can go a long way toward ensuring you won’t be offensive. Most locals have a true “Aloha Spirit”: they are warm and welcoming with a friendly, accepting attitude. If you want to be truly accepted, listen and try not to speak loudly and aggressively. Hawaiians typically speak in a soft, gentle manner and appreciate tourists who do the same. Native Hawaiians are proud of their culture and are often happy to explain cultural differences, but keep in mind that there is a difference between locals and Hawaiian natives. Only people of Hawaiian ancestry are natives. Locals from other ethnic groups are not considered Hawaiian. Take the time to learn basic greetings, even if it’s just two words: “aloha” and “mahalo.” Aloha can mean hello or goodbye, while mahalo is the term for thank you. Using these terms will likely earn you at least a smile. It’s also a good idea to learn the meaning of common words, such as “wahine” for women and “kane” for men, if you want to avoid an embarrassing restroom intrusion as well. Common sense should also tell you that making fun of local expressions is a definite no-no. During your visit, you’re likely to hear locals speaking with at least a smattering of pidgin. It may sound funny to you, but for Hawaiians, it’s just a normal, everyday occurrence. Taking photos of locals, or anyone you don’t know, should only be done if you’ve asked permission first. Imagine how you might feel if a stranger took your picture while you were going about your day back at home—it’s not only odd, it’s rather rude and intrusive. Just by following this advice, you’ll not only be likely to have a more enjoyable time, you may end up making lifelong Hawaiian friends. 2. What are the chances of getting attacked by a shark? The odds of getting attacked by a shark off Hawaii’s shores are slim. Over a 127-year period from 1882 to 2009, there were 114 shark attacks, of which 11 were fatal. With around seven million visitors coming to the islands and thousands of people swimming in the surrounding waters, the risk is quite low. Humans are not natural prey for sharks; when an attack occurs, it’s usually because the victim was mistaken for prey. This is why the shark typically loosens its hold on a person immediately and lets go once it realizes it isn’t what it thought it was. If you have bleeding wounds, don’t go swimming. Don’t wear bright jewelry while in the water. Don’t swim alone, and try to swim in waters that are guarded, if possible. Don’t go swimming in the dark, and avoid swimming at dusk. If there is a warning posted or if locals advise that there are sharks present in the area, heed the warning. 3. Do I need a passport or a visa to get to Hawaii? Because the islands are so far off the mainland, many people mistakenly assume they need a passport. However, if you are a US citizen, you do not. Hawaii was the most recent to join the union, becoming the 50th state on August 21, 1959. Visiting is just like traveling to any other state on the mainland. Of course, if you aren’t a US citizen, you’ll need to check with your local travel agency to find out about travel requirements and learn if a visa will be necessary. 4. When is the best time to visit? Does Hawaii experience a winter season? Hawaii is considered a paradise for a reason, with nearly perfect weather all year round and temperatures that average between 75 and 85 degrees. Because it has a tropical climate, it’s almost always raining on one of the islands at any given time, but it doesn’t last long before the showers give way to sunshine and, often, a brilliant rainbow. There are just two seasons in Hawaii. The summer months, which last from April to November, are slightly warmer and drier than the winter months, which last from December through March. If you want the best chance to spot majestic humpback whales, peak whale watching time is between January and early April. Avid surfers prefer to arrive between November and February to catch the biggest waves on Hawaii’s north shores. Take along your summer attire, as well as a sweater or jacket if you plan to visit higher-elevation areas, such as Diamond Head or Haleakala National Park. If you want to experience the nightlife in Honolulu, pack some casual dress clothes as well. Fancy clothes, such as suits and ties, are rarely worn in Hawaii. Don’t bring your pet. While many of us have dogs or cats that are our best friends, if you’re visiting the islands for a short period of time, it doesn’t make sense to take them along. Hawaii has a quarantine law designed to protect residents and their pets from the serious health issues that can arise with the introduction and spread of rabies and other potentially dangerous illnesses. It’s the only state in the union that has always been rabies-free, and Hawaii aims to keep it that way. The quarantine law is complex and expensive, and subjecting your pet to a lengthy flight in the luggage compartment of a plane can have devastating effects on its emotional health and potentially its physical health too. One last thing: I want to introduce you to Expedia. You have probably heard of it or seen their TV commercials. They are one of the world’s largest online travel companies. 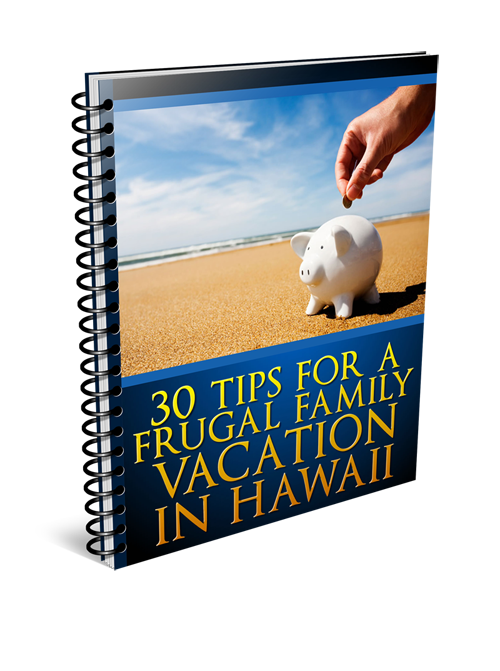 I hope this has helped you become more confident about your trip to Hawaii. Don’t let the little things hold you back—start planning your adventure today!